Nowadays we can see the walk through metal detector being used in many fields, such as a clothing store, a supermarket and many public places like the airport as a tool to create a safety atmosphere and condition for us. In fact this kind of device has given a hand to solve a lot of problem. 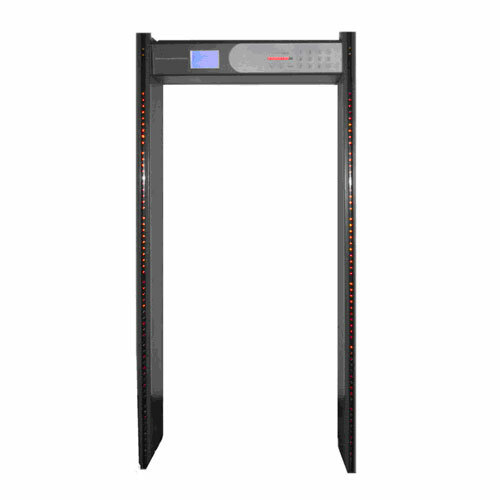 Among various types of metal detector, the Remote Controlled Walk through Metal Detector with 5.7Inch LCD Display must be the perfect choice. 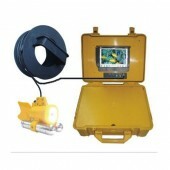 Unlike many other devices this one is designed with a 5.7 inch LCD display and a audible and 6-zone visual alarm, which makes it easy to find out the risky goods and you can see the risky good clearly through the screen, so you won’t waste a lot of time to find out where the dangerous goods are. Apart from this aspect, this walk through metal detector also includes the remote control function and it has a detection program in flash memory, if so it can help to find out some evidence in case of an emergency or many other occasions happened. It is easy to install, operate and program. One person can install spend less than a quarter. It can find out certain dangerous goods take the guns and knives for example, but the normal goods like coins, keys can pass it without causing an alarm. And foe the program the operator can set and store multi-zones sensitivity appropriately for a specific weapon or test object. Besides the password protects parameters from non-authorized operation, which make the test safer. In addition the possibility of remote control make it possible to control the condition without coming near to it, this is really a useful and time-saving function. So if you want to buy a metal detector like this, just add this one to your chart and you will be satisfied with this amazing device. The service is very thoughtful. I like it very much. The quality of the product is good and the price is reasonable. The design is just as i required. Nice.